Today is a special birthday for a special person. On February 13, 1915, Ruby McLain Sleath was born in Illinois. 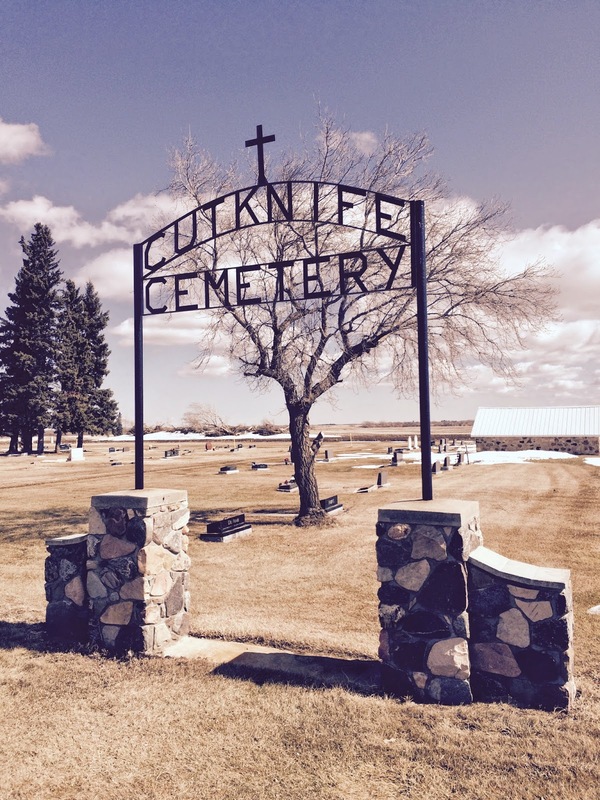 In 1917, she moved with her parents, Robert and Luna McLain and her siblings, Lucille and Clayton McLain, to the Riding Hill District, east of Cut Knife. Sadly, little Lucille passed away soon after they arrived in Canada. Another sister, Alene (Hardy), was born in 1920. Clayton McLain's interest and love of local history resulted in the wonderful collection and museum established in Cut Knife. The whole McLain family has donated and supported the museum since its beginnings in 1971. Clayton's wife, Elizabeth was the first curator/manager/promoter/etc. Ruby, Len, and Marilynn 1947. Ruby went on to marry, Leonard Sleath, and they welcomed daughter, Marilynn Sleath (Hampson). All through this time, Ruby was very supportive of her brother's passion for history and his resultant collection. 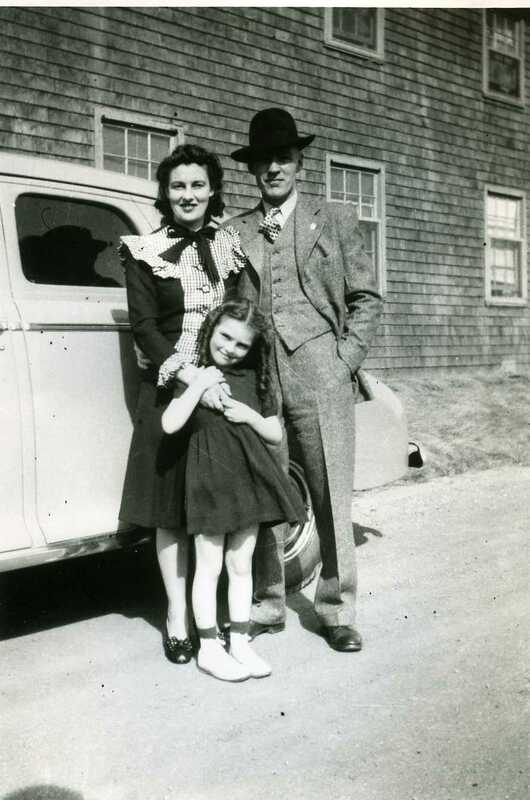 After Clayton passed away from cancer in 1968 and the museum was established, Ruby and her family continued to support and donate family items to the museum. In the years after Elizabeth passed away, the museum has remained a special interest for Ruby. She has an amazing memory that she has willingly shared with museum volunteers. She regularly donates to the museum. She is very interested in museum 'news' and developments and has attended museum events up until she was not physically able. So today, Ruby is 102. Amazing. Even more amazing is her love of history, family and friends and her strong faith and positive attitude of life. AND her love of the museum at Cut Knife, the Clayton McLain Memorial Museum. Thank you, Ruby, for being so supportive of the museum and the communities in which you have been a part. There have been many times that I have visited Ruby in the Cut Knife Special Care Home to ask her questions about photographs or past events. After shedding light on my questions, she usually has something else to donate to the Museum. Another special item, photo or piece of archival history to add to our community's rich heritage. Bless you, dear Ruby. Happy Birthday! It has been a while since I blogged for the museum. The changing nature of a volunteer board means that a 'techie' was difficult to find. So I am back at it. The summer of 2016 brought a few changes to the museum. We no longer are the sole residents of our Archives building. The RM of Cut Knife have moved their office back to the building taking over the front two rooms. 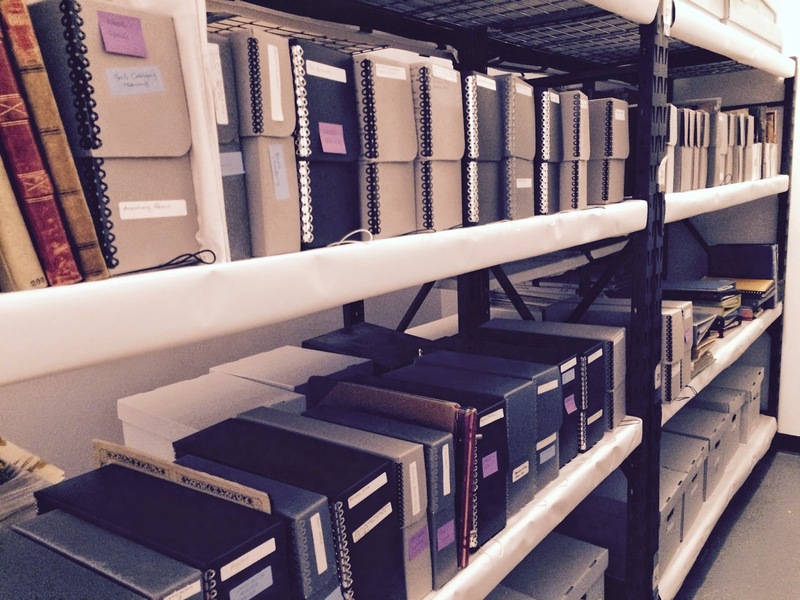 Our Archives still are located in the back room and overflowing to the basement of the building. We are in the process of locating new premises for the Archives. The Board is grateful for the support of the RM of Cut Knife and appreciate the years that they had the full use of the building and the continued space the RM have granted us until other heated space can be found. Some of our furnishings had to be moved to the Church at the museum. This meant that the Church is no longer open for touring. All of this has made it more difficult to continue the organization of the archives, but we are taking the time to do much needed data updates on the computer. This summer, there will be an inventory taken at the museum and a new modern bar code system will be implemented. The Board is updating our Acquisitions Policies to include a Collections Policy. This will make our policy much more relevant to the museum's situation today. The old buildings that house our museum artefacts are deteriorating rapidly and tough decisions need to be made in order to protect our collections. Our fundraising crew of ladies once again put on a successful Ladies Night Out late in October. This raised over $5000. Several volunteers have been updating our records on PastPerfect to include the Cut Knife Cemetery. In doing this we will be able to provide the RM with a new up-to-date map as well as keep our community histories updated. We are really in need of new Board Members. There are several more people who are going off the Board this year. 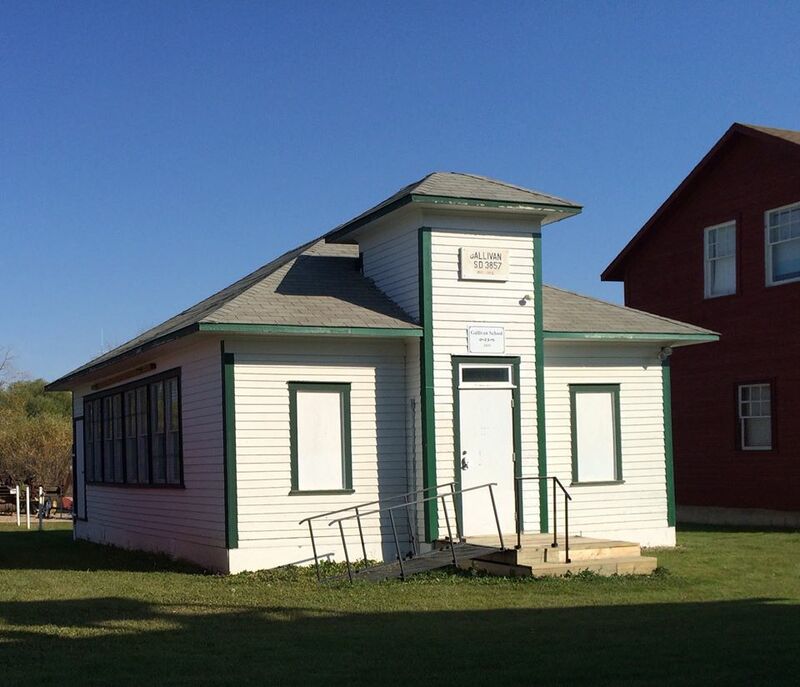 Your help in keeping this museum operating is needed now. Please consider letting your name stand for the CMMM Board. Things will be winding up at the Museum in a few weeks, although, we still have an afternoon Kids' Camp scheduled for August 20th and a Hi Pie Friday for August 21st. Our guided tours will continue to run on into September, by appointment. So, we have lots of opportunities for you to meet our summer staff before the Clayton McLain Memorial Museum closes for the season! Our Museum Manager, this year, is Colleen, a three year resident of the Cut Knife area. She, and her family, live on an acreage which, she claims, “would qualify as a zoo!” Many may recognize Colleen from her work at the Cut Knife Elementary School as a Special Education Assistant. 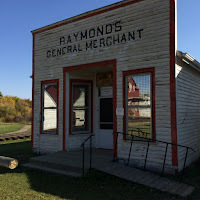 Her favourite exhibit, although it was a tough choice, was Raymond's General Store; she especially likes seeing the original items for many of the name brands we use today. Jayden is a recent graduate of Cut Knife High School with plans to attend the Canadian Tourism College in Surrey, BC for her Adventure Tourism Diploma. She “loves being outdoors and working with people.” Jayden's favourite part of the CMMM is the Medical Building. She's had occasion to spend lots of time at hospitals over the years and finds it interesting how medical tools and procedures have changed over time. Most Interesting Museum Experience: Jayden has also had a “spooky” musuem experience but this one was closer to home. She opened up the Duvall house one morning to find a footprint “clear as day” on the floor. Now, what's especially peculiar about that is, after Jayden had swept the floor and locked up the house for the night, no one had entered the building until Jayden unlocked the door the next morning - to find the footprint! Most Interesting Museum Experience: Blake visited the Royal Ontario Museum and was impressed by “the shear size of it” with many levels of exhibits from a variety of ancient civilizations as well as an animal exhibit “which was cool.” Unfortunately, it was also so large that he became separated from his group and spent two hours wandering, looking for them, until finally meeting up with them, again, in the front lobby. Aunica is a student at Cut Knife High School and a resident of the area. She lives with her family on an acreage on the Rockhaven road. Aunica's favourite exhibit is the Train Station, not only because it's filled with so many different kinds of artifacts but because she also likes the architecture of the building. 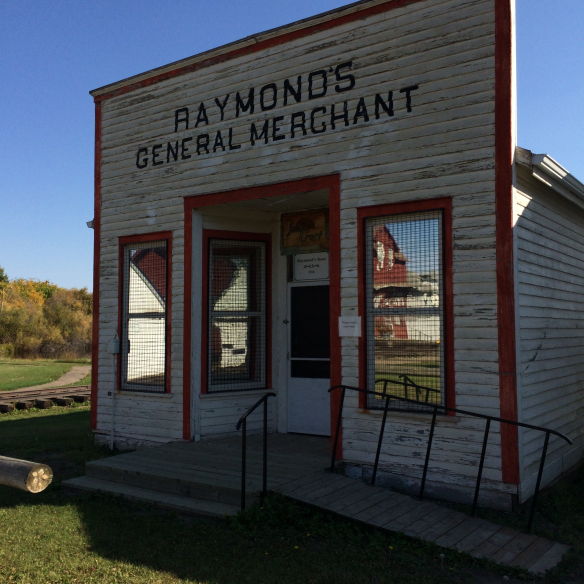 Most Interesting Museum Experience: Aunica used to live in Calgary and, once, she spent a whole week at an overnight immersion camp at Heritage Park Historical Village. The participants dressed in period costumes; they learned all about life at the turn of the 20th century and they lived it that way for 5 days! On March 17, 2015, the Cut Knife Chamber of Commerce dissolved. 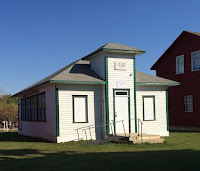 The organization had been a part of the Town since, at least, the 1970s and had hosted some well loved community traditions including the May Long Weekend Garage Sale, Oktoberfest and the Canada Day Pancake Breakfast at the Museum. However, now that it had disbanded, the question arose: What was to become of its records? The first box of materials - with signed Transfer of Ownership, to the right. 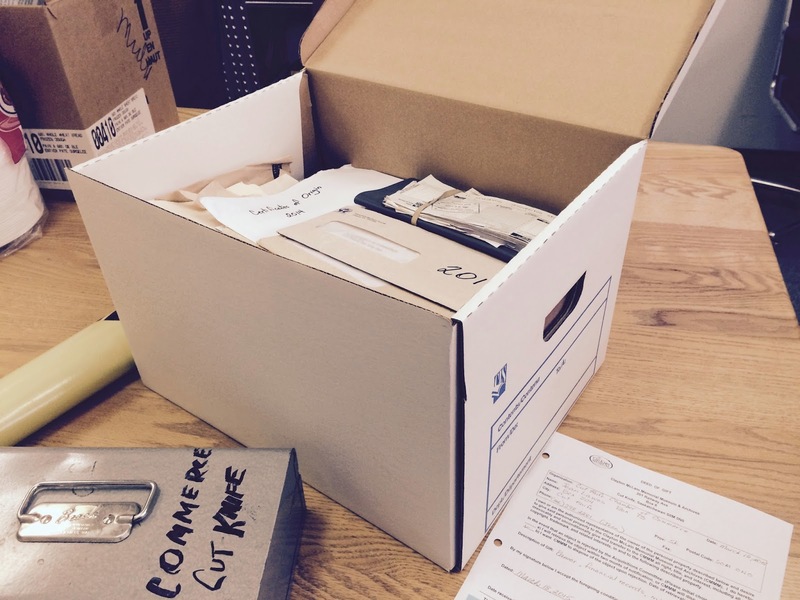 The items will be organized along timelines, described, filed in archival boxes and stored. The Clayton McLain Memorial Museum and Archives has established a set of guidelines that helps us to determine whether, or not, a potential donation fits our mandate. These criteria were designed to keep us on track. Our display space, our storage space and our volunteer resources are limited. By following our Significance Worksheet, we eliminate duplication and we maintain the museum's focus on the stories directly relevant to the area. 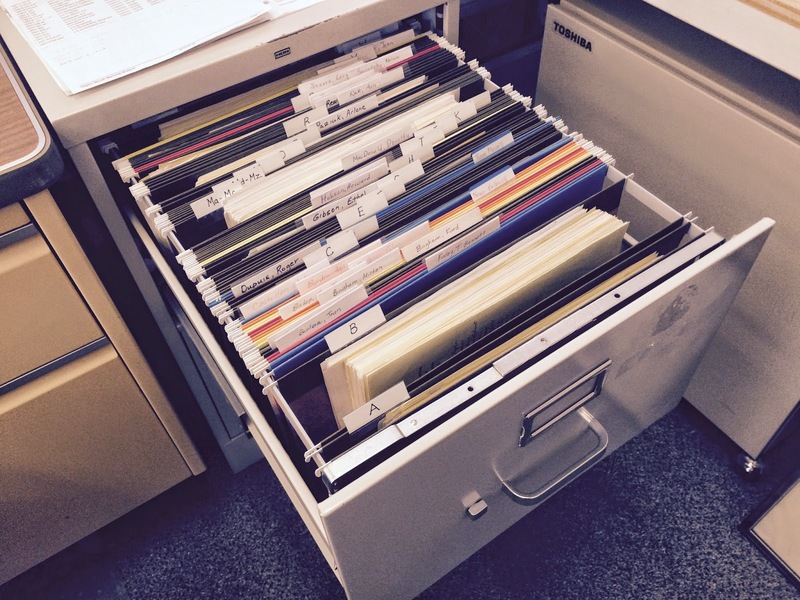 Filing cabinet filled with the documentation for our artifacts and archival materials. Honestly, if it were up to the individuals of the Acquisitions Committee and the Board of Trustees, we'd probably take in everything that was offered to the Museum. Most of us have a weakness for collections, for antiques, for documents and books or for items of a sentimental nature but that approach is unworkable. So, we've set up a procedural based upon what other museums are doing and we work at creating a unique, manageable collection reflective of the people, events and history of the Cut Knife area. The Archives is a climate and light controlled, dust and pest free area. The records of the Cut Knife Chamber of Commerce will be accepted into the Archives because they fit - to a tee - the requirement for historical significance: “. . . collection [that] contributes to changing the course of local history or [has] an impact on development of community.” The boxes of materials will be processed and, in time, will be available to the public for viewing or research.